Stem cells sustain the capacity of self-renewal and differentiation into specialized cells, offering exciting promises in both basic and applied research. As an example of an applied purpose, stem cells can be used as a resource in regenerative medicine for generation of appropriate cell types in cell replacement therapy, which has been becoming a new pillar of human therapeutics. While it has been displaying obvious advantages over other therapeutic strategies, the successful use of cell-based therapeutics is still facing the following major challenges: (1) how to efficiently derive stem cells, including pluripotent stem cells and adult stem cells; (2) how to stably maintain stem cells in vitro; (3) how to largely obtain functional cells through in vitro differentiation of stem cells; and (4) how to safely transplant donor cells into patients. Actually, what makes application of stem cells rapidly move forward into clinic depends on how much the efforts have been making on basic study of stem cells. 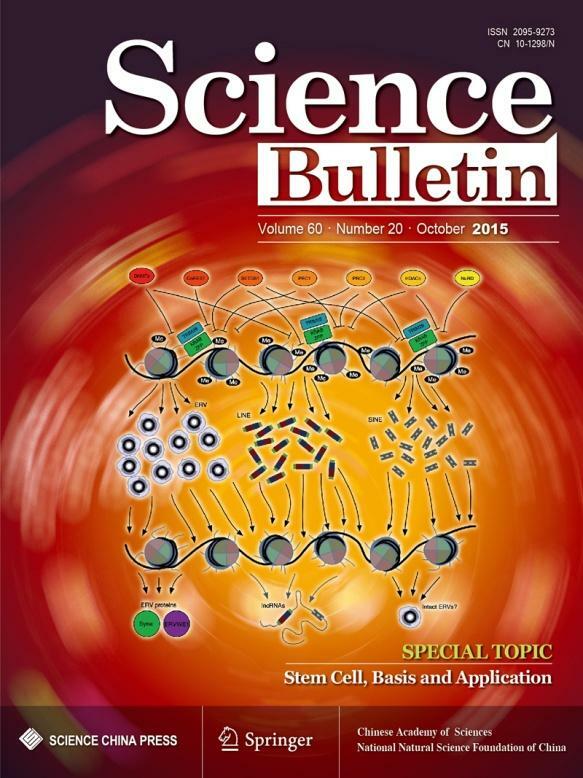 Therefore, Science Bulletin invited Professor Jinsong Li, the promising young principal investigator on stem cell research in Institute of Biochemistry and Cell Biology, SIBS, CAS to organize this special topic on "stem cell, basis and application". In this special topic, 5 high-quality and peer-reviewed articles were presented. Among them, 4 are reviews and one is original research paper, covering diverse aspects and topics on stem cells such as cell source for generation of induced pluripotent stem (iPS), epigenetic roles in somatic reprogramming and embryonic development, and cell source for treating disease. Cell source of iPS cells will be critical for their application in patient-specific therapy. IPS cells could be efficiently generated by Yamanaka factors from a subpopulation of adipose tissue-derived cells that are mainly composed of progenitor cells. However, it is not clear whether terminally differentiated adipocytes could be used as donors for deriving iPS cells. In this special topic, Donghai Wu and colleagues demonstrate that terminally differentiated adipocytes can be reprogrammed into iPS cells using Yamanaka factors plus Rarγ and Lrh1, two nuclear hormone receptors, which have been recently applied to promote the iPS cell generation from mouse and human fibroblasts. Epigenetic regulations are critical for cell fate determinations. One review article by Shaorong Gao and colleagues provides us a comprehensive overview of epigenetic mechanisms involved in somatic cell reprogramming to pluripotency induced by Yamanaka factors.The paper by Duanqing Pei and Andrew Paul Hutchins describe the functions of transposon elements in embryonic development, ESC self-renew and somatic reprogramming. On the other hand, Jianwei Jiao and colleagues presents a state-of-art analysis of epigenetic roles in embryonic neurogenesis.Investigation into the detailed process of cell lineage formation in vivo will not only aid us reveal the mysteries of the embryonic development, but may also yield clues to improve the in vitro differentiation system for more efficient generation of donor cells from stem cells. Finally, Qi Zhou and colleagues discuss the progress of β-cell derivation and transplantation for cell-based therapy in diabetes mellitus. It is expected this special topic will attract attention and will contribute to the growth of the stem cell biology in years to come.